Classic Bike Guide explores the world of classic motorcycle ownership and restoration. Beautiful photographs illustrate reviews of rare machines and profiles of the best British bikes of yesteryear. Legendary characters from the glory days of motorcycling and the powerful machines they rode are celebrated too and todayâ? ?s finest restorers and rebuilders discuss their intricate work. Seldom seen and previously unpublished pictures from the vast Mortons Archive offer an unrivalled insight into the history of motorcycling and thereâ? ?s all the latest news. CBG also offers views from our knowledgeable and occasionally cantankerous columnists, detailed workshop guides, event reports and road tests. 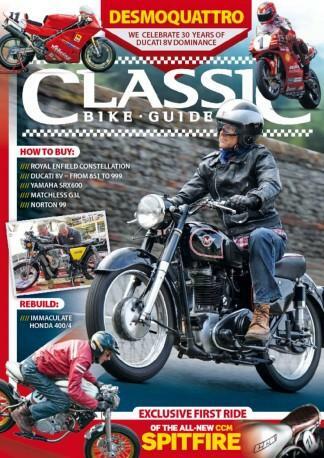 Be the first person to tell us what you think about Classic Bike Guide (UK) and you'll save $5 on your next purchase!